Wow, gingerlicious! I love that flavor..very delicious looking chutney! the chutney looks and sounds very tasty...will have to try it soon! Yumm, tongue tickling chutney, delicious! Love ginger in most chutneys they cinch the deal - Yummy! Delicious chutney it has all flavors of ginger and tomato. Love it. 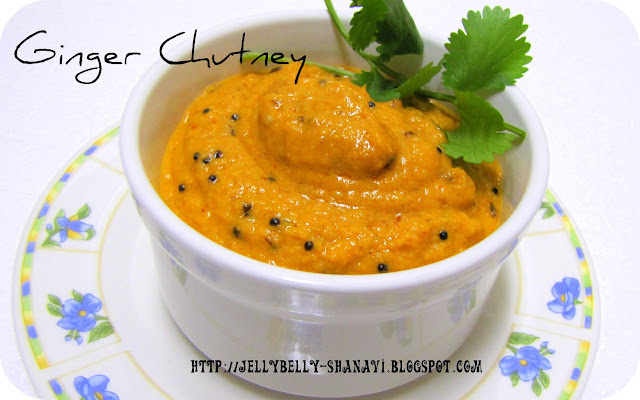 Chutney looks so tasty and tangy. Awesome preparation. Very healthy chutney, aromatic as well. Great recipe, I love gingery chutneys..